BEST SOUTHWEST—The transfer of talented athletes always stirs up controversy. Sometimes, athletes are said to switch schools purely for non-academic reasons. Often, students are forced to relocate due to no fault of their own. What is apparent however, are the standout contributions by two Best Southwest High School QB Transfers, Duncanville’s Jaylin Nelson and DeSoto’s Shawn Robinson. Approaching Week 3 of the 2016 Season, both the Duncanville Panthers and DeSoto Eagles are undefeated. At 5’8′ and 187 lbs, Jaylin Nelson is a prime example of pure athletic skill. The Texas State University commit has a 60 percent completion record this season. He has gained 712 yards in just two games [549 passing/163 rushing]. 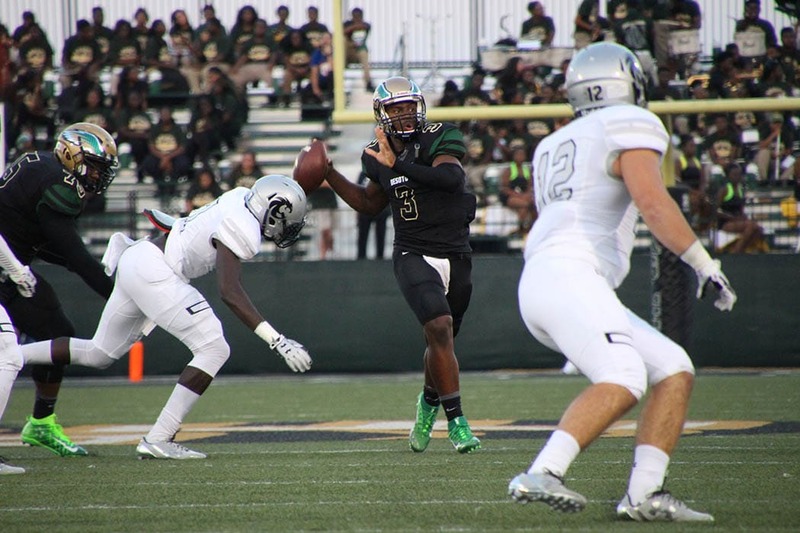 While he has been connecting with fellow DeSoto transfer Matthew “Tre” Stiggers on 225 of those yards, Nelson has shown that he isn’t afraid of going head to head with a defender. During the 2015 off-season, the Panthers’ field commander garnered headlines for more than just his prowess with the pigskin. In the Spring of 2015, the Nelson family relocated to neighboring Duncanville–causing Jaylin to seek approval from the University Interscholastic League to play football. He was denied and relegated to playing at the junior varsity level for a year. 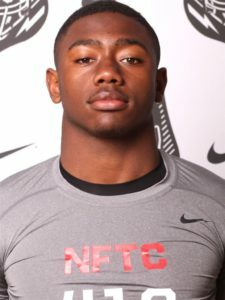 UIL committee members deemed that Jaylin transferred schools for athletic reasons..
His parents, Carlton and Tanya Nelson, testified that their move was purely an economic decision – going from a small apartment in DeSoto to a house with ample storage space in Duncanville without thought of their son’s athletic future. Nelson was outstanding for DeSoto in 2014 as a sophomore. He broke into the lineup after starting quarterback, Tristen Wallace, broke his ankle in the second game of the season. Wallace is now a freshman wide receiver at Ohio State. In nine starts – including splitting time with Wallace in DeSoto’s first-round playoff game against Coppell – Nelson passed for 1,888 yards and 18 scores and rushed for 954 yards and 14 touchdowns. Duncanville is Nelson’s third school in three years; he helped First Baptist win the TAPPS Division III title as a freshman. 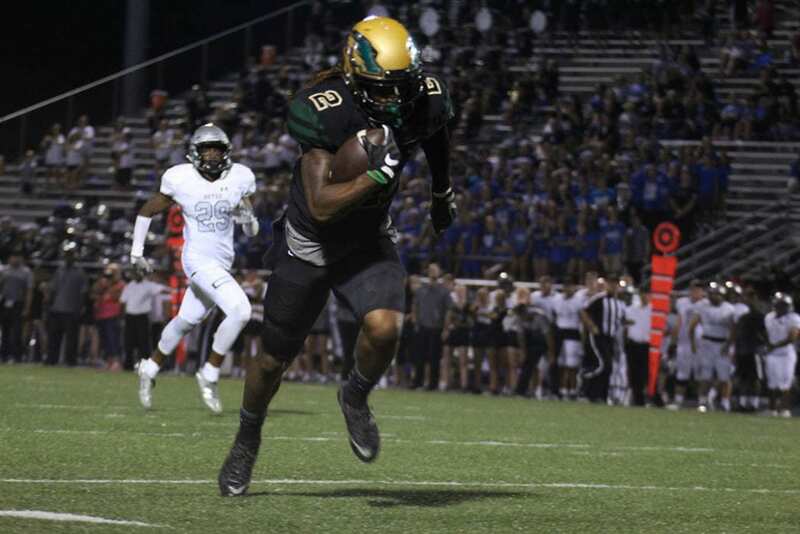 DeSoto’s football coaches, however, said that Nelson’s potential departure had been long-rumored, and that discussions with the parents centered around his role on the 2015 squad. Head coach Todd Peterman said that he didn’t believe the family would have moved if Nelson was slated to be the starting quarterback for the upcoming season. Defensive coordinator Mark Howeth testified that he felt a meeting between Nelson’s father and several members of the coaching staff on Feb. 27 “seemed like a negotiation.” Quarterback coach Daniel Barrera said that Nelson’s mother discussed whether the quarterback job would be an open competition in a prior conversation. Nelson was the second transfer from DeSoto to Duncanville to be denied. Linebacker Matthew Siggers, the district’s defensive sophomore of the 2015 season, was ruled ineligible and sat out of varsity play as well. 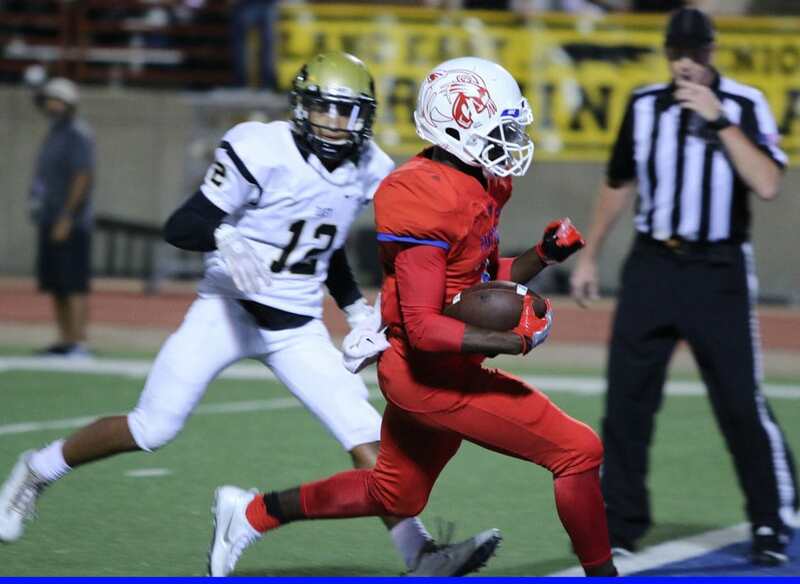 After that, Duncanville Head Coach Reginald Samples said private schools came courting Jaylin. He led First Baptist Academy in Dallas to a championship as a freshman and racked up a 13-0 record at DeSoto in 2014 while subbing for the injured first-string quarterback. Despite offers from private schools, Jaylin chose to stay in Duncanville where he led the junior varsity team to a 7-2 season. “When you have a kid that sacrificed like that, it shows he is dedicated to Duncanville,” Samples said. Jaylin Nelson is a key part of Coach Samples’ overhaul of the Panthers’ football program. 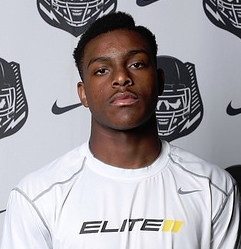 At 6’3, 200 lbs, Robinson is quick and physical; making him a dual threat quarterback. I’m sure that you have heard that term several times about several athletes; but in a conference as competitive as District 7-6A, it’s almost a requirement. So far, Robinson has racked up 574 yards, averaging 97 yards rushing and 190 yards passing per game. In the last two non-district games Robinson has lead his team to victories with margins of 30 points or more. Transferring from 2012 and 2013 4A State Champion Denton Guyer, coaches say Robinson had no problem acclimating himself to the way the Eagles play ball. Definitely living up to his athletic linage, Robinson is the son of Assistant Football Coach Othell Robinson and Head Girls Basketball Coach Andrea Robinson. Transferring from school to school is both a perk and a pitfall of the life of a coach’s kid. In 2014, Othell Robinson was a member of the Coaching Staff at Fort Worth Chisholm Trail High School where Shawn played on the Freshman team. In 2015, Othell and Andrea got job offers to play at Denton Guyer. Both jumped at the chance after working at different schools most of their coaching careers. Now they both are at DeSoto High School, so once again the TCU commit had to come along for the ride. “Being together as a family unit is important,” said Andrea. As for legal ramifications, UIL approval is not needed to play when the children of coaches have to transfer to their parent’s respective schools. Whatever the case, these transfers are set to face off in October 21 at Bob Alpert Suburban Bowl in Duncanville. Kickoff is at 7:30 p.m. After the game, the winning team and MVPs will be presented trophies which are sponsored by Focus Daily News. They will be presented by recording artist Troy Peoples.